Experience the power of Auria in a streamlined version. Record, edit, and mix your music using essential tools taken from the full version, but in a less expensive package designed for those who donâ€™t need every feature packed into Auria or Auria Pro. 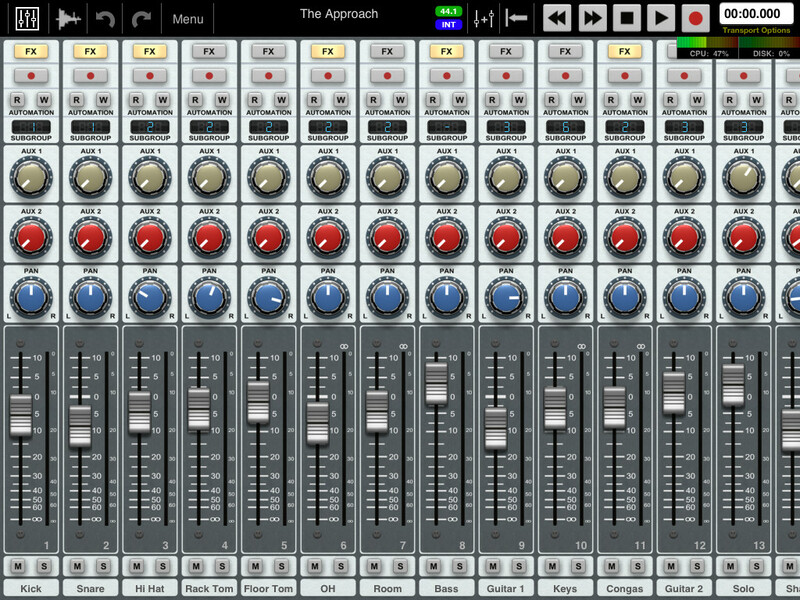 â€¢ 24 tracks of simultaneous playback of stereo or mono files (upgradable to unlimited tracks). â€¢ Up to 8 tracks of simultaneous recording when used with compatible USB audio interfaces (upgradable to 24 tracks of recording) Camera Connection Kit required.